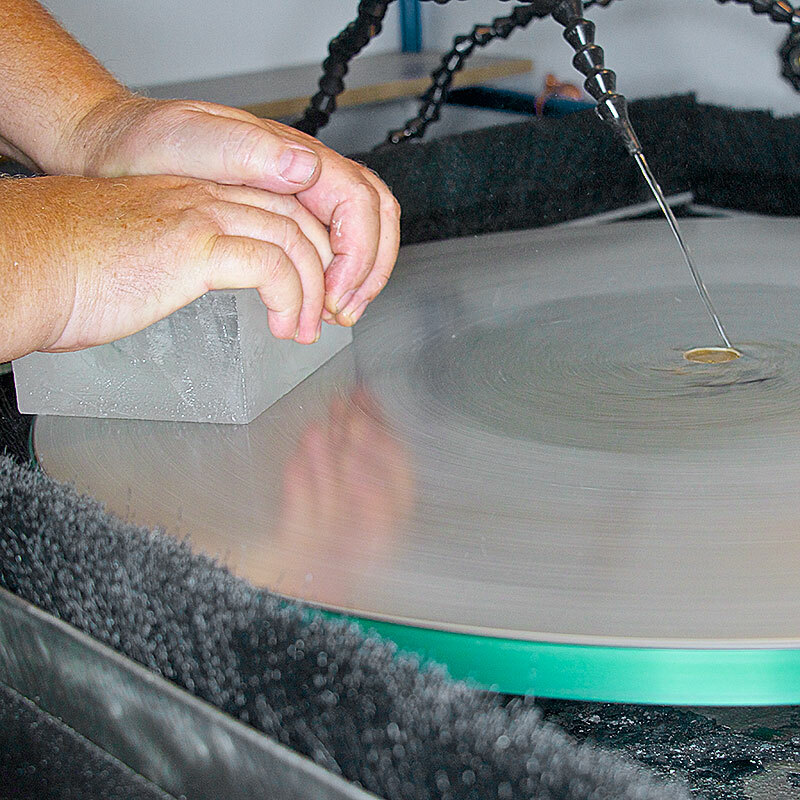 Electroplated Diamond Disks allow for quick, aggressive grinding on glass surfaces. The diamonds are locked into place on the surface of the disk with nickel and will create a rough, scratched surface on the glass, even at finer grits like 325 and 500 grit. They are fantastic for quickly and efficiently grinding and flattening your glass surfaces. Our Electroplated Diamond Disks start with a fiberboard substrate, like the material computer motherboards are made of, then we add a thin layer of copper laminated to the fiberboard material. This keeps our disks as optically flat as possible with no dishing of the base material. Our 100% Natural DeBeers Industrial Diamonds are then electroplated onto the copper layer with nickel to create a rust proof grinding layer that keeps an exact flatness. Finally, we add a thin rubberized magnetic backing to the disk for easy application and removal on flat lap grinders. Diamonds on a plated disk need to have a spaced dispersion on the surface to work well. Our diamond disks have random diamond dispersion and the StarLap diamond disks have very controlled diamond dispersion. If you have too many diamonds on the surface of the disk, they will support the glass more than grind it. Electroplated disks will not give a fine enough finish to polish your glass from. Instead, you will need to move to a resin based diamond material to finish off your surface before moving to a final polish.